138 tickets sold – $502 raised! 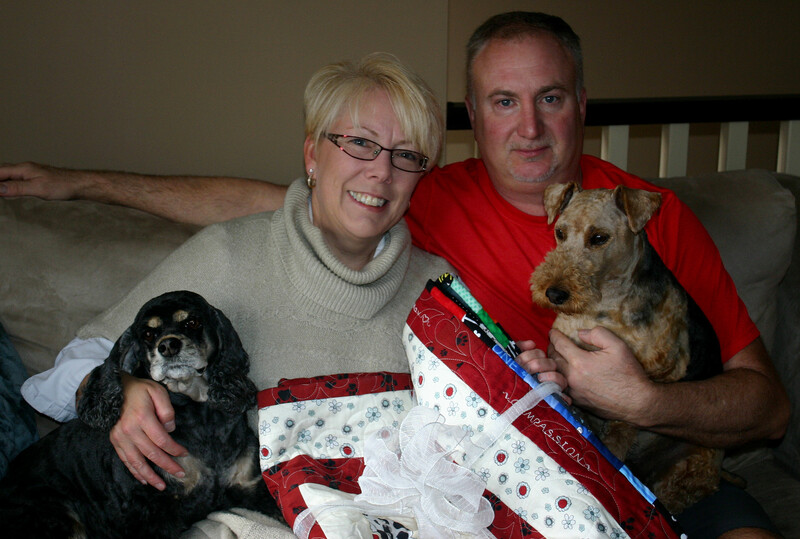 We are dedicating this years quilt to all animal lovers, whether you are in the medical field, rescue, advocate, locate, or just love and care for your pet, we named it “COMPASSION“. We started the tradition last year with our 1st Anniversary Quilt. We wanted to create a quilt to celebrate our 1st year and to incorporate all the fabrics and names of the pets that received a blanket that year. We called it “Gratitude”, in recognition of all the support we had received. We raffled it off on October 11, and raised $603 for the Maggie May fund. We have done it again, and love how it turned out. It is different than last year’s, and yes, we did include all the names and fabrics. We will once again, raffle it off on October 11, which is the anniversary of Maggie’s crossing over the rainbow bridge. 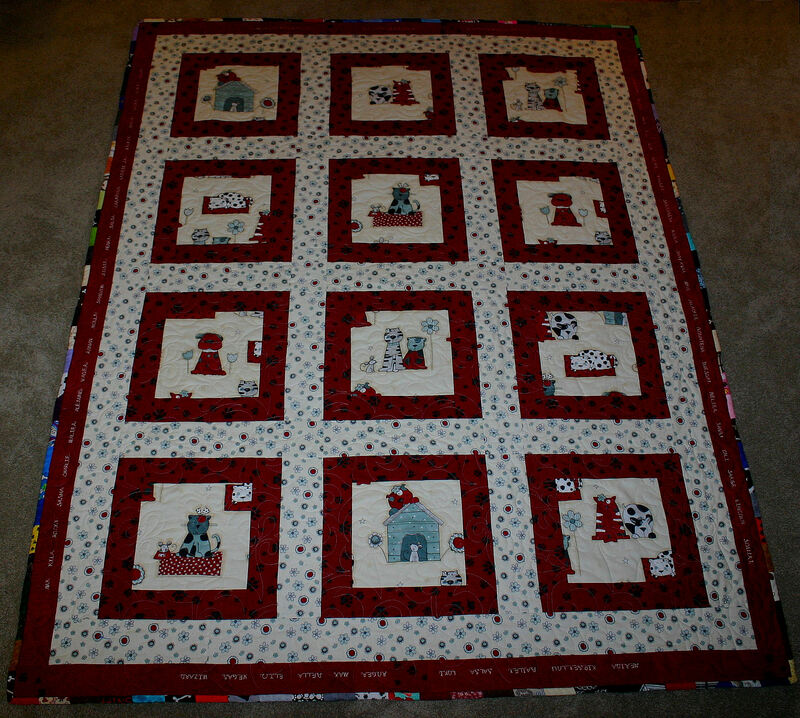 Included in the quilt are 52 pet names and the fabric of 29 Quilts to make 112 3″ pieces for a one of kind binding: Max, Kyla, Rocky, Sasha, Charlie, Walter, Alesund, Vader, Ronan, Molly, Shadow, Josie, Henry, Salsa, Carmella, Lassie Jr, Jackie, Sadie, Lacey, Zoey, Abbie, Merida, Kipsey Lou, Bailey, Salsa, Loki, Roger, Max, Bella, Elio, Vegas, Wizard, Finnigan, Rosie, Nala, TC, Sox, Nicki, Knugee, Skeepnish, Koala, Shay K’var, Niko, Blackie, Boutena, Tuesday, Belier, Tabby, Cali, Sarge, Lincoln, Squirt. We would like to send a special thank-you to Tammy Howard of Sugar Town Quilting Co, in Cranbrook for donating her time and cost to professionally quilt our creation. We love having her on board! Our goal is to raise $1000+ for the “memorial account”.